After getting a short 5 hours of sleep, I woke ready and excited to be boarding a plane and heading on my adventure. Just after 6am I arrived at the Thunder Bay airport where I hit the first (and slightly large) pot hole in the road. I forgot my runners. Classic. Spending 8 days hiking and climbing mountains and I, forgot my runners. I quickly got over it knowing that there was very little I can do other than purchase some new shoes somewhere along the way. After 7 hours of travel we finally landed at the Calgary International Airport where we hit the next bump in the road. We caught the shuttle to go pick up our rental car and were informed of an extra $200 fee. *sigh* Less quickly, but still quite fast, we got over it knowing there was very little we could do considering we needed a vehicle to get to all the beautiful places we planed on visiting. (Visa and I became best friends at this point in our trip). We then spent the next 3 hours navigating through Calgary, shopping for groceries and picking up the rest of our camping necessities. Needless to say, we were exhausted and properly excited to get on the road to Jasper. 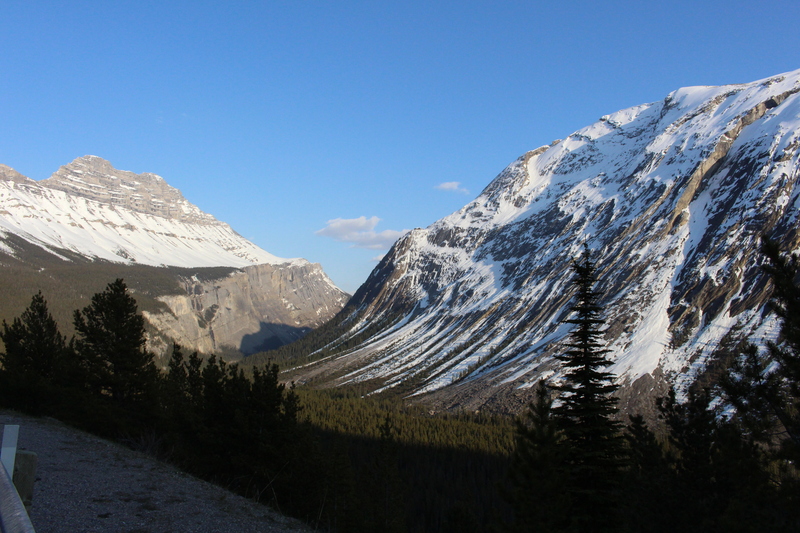 Once we left the constant stop and go traffic in Calgary, and entered the breathtaking mountainous region all of our worries subsided. The following four hour drive to Jasper was idyllic. We stopped in Banff so I could buy some new hiking runners (which were on sale – high five! ), and continued on our journey through the rocky mountains. Excited for the rest of our adventures!